In a serene environment, hidden by a luscious selection of carefully displayed plants, the Container Guest House welcomes its guests with a modern design and an unusual layout. 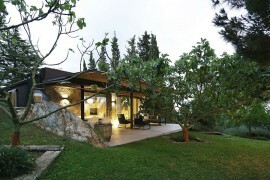 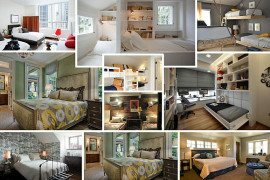 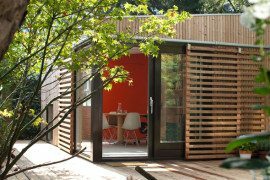 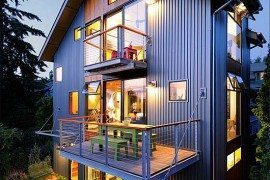 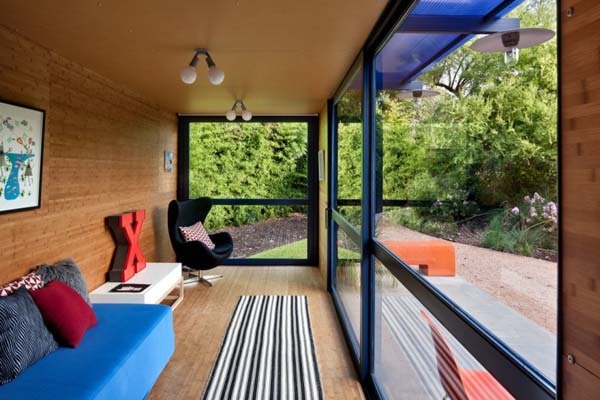 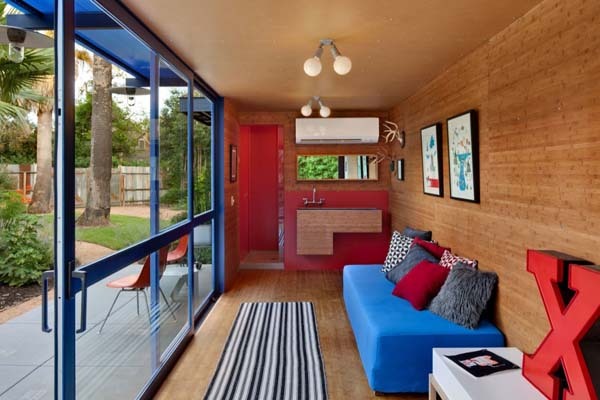 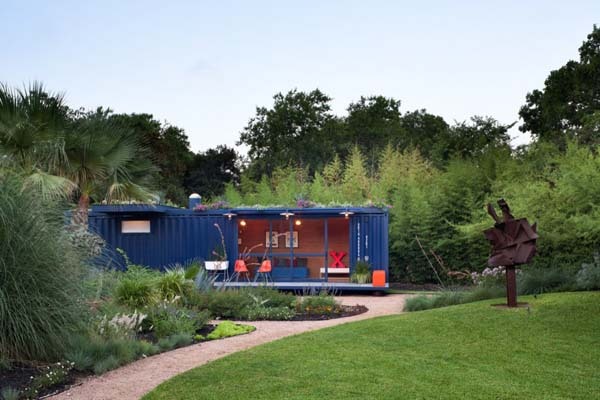 Made from a container that has been modified to suit any guest’s needs, the Container Guest House is nestled in the rear side of the garden, allowing privacy and comfort. 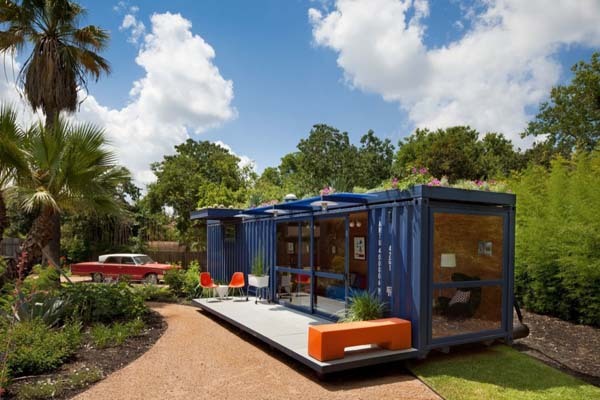 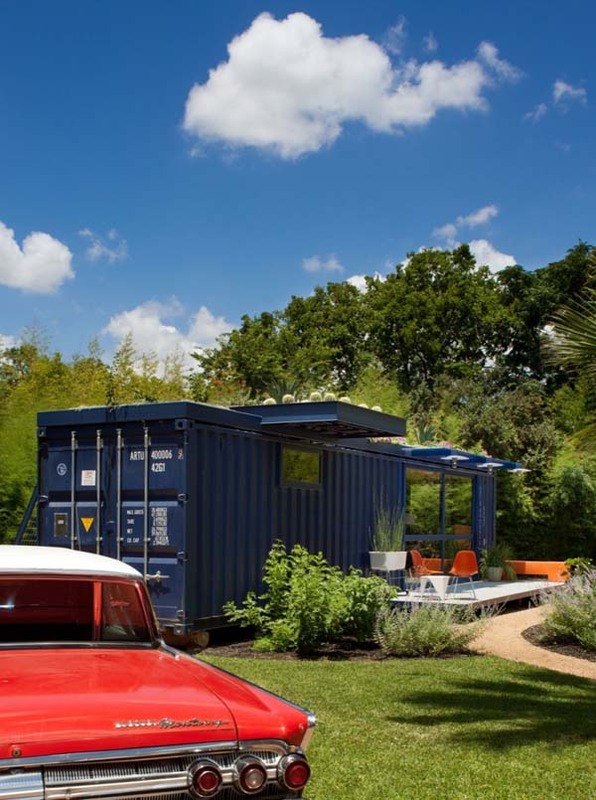 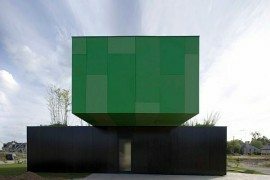 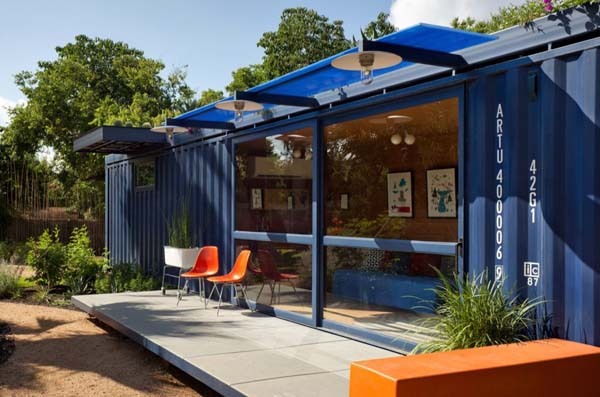 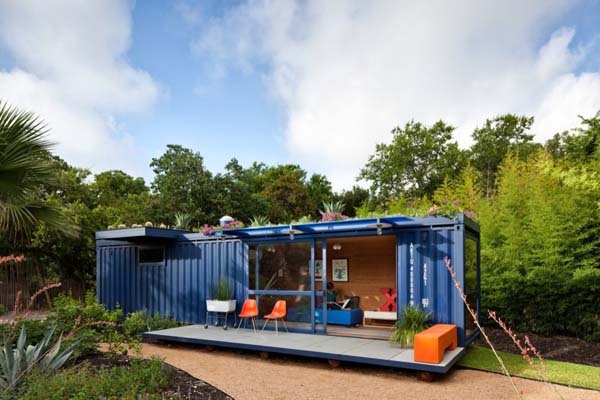 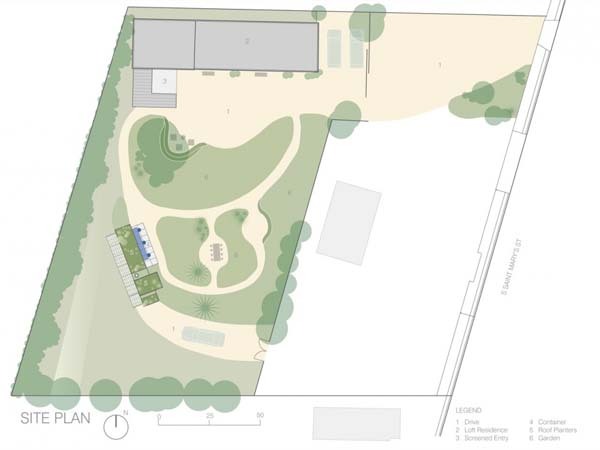 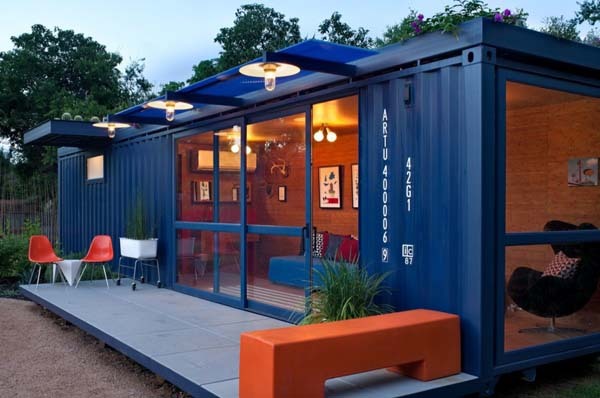 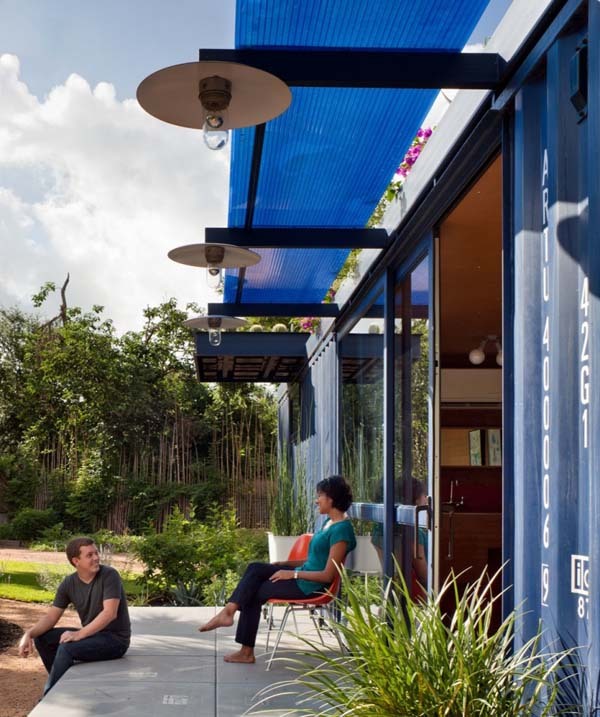 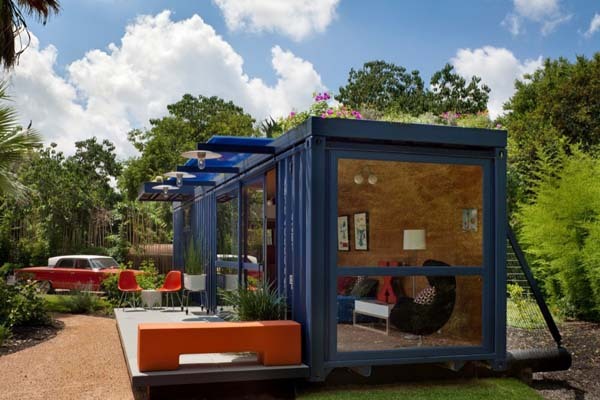 The desire of the client to experiment with shipping containers as part of an architectural project gave Poteet Architects the opportunity to show how easily a container can accommodate guests in a modern way. 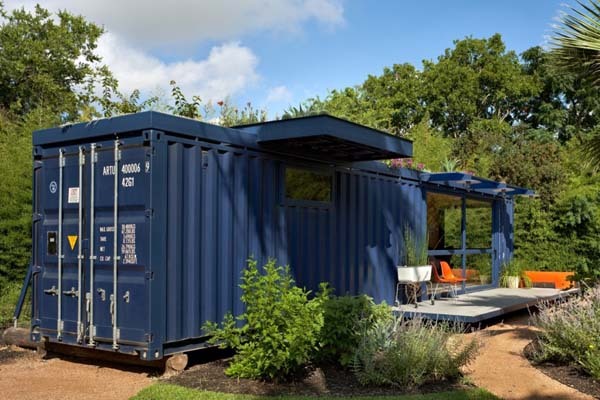 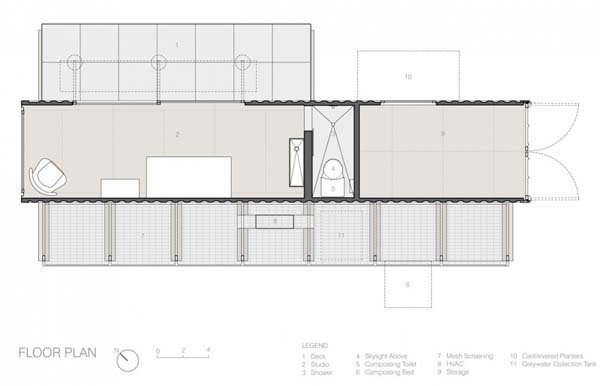 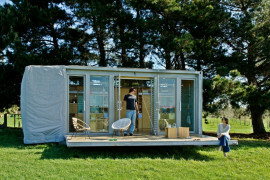 Featuring a small bathroom and a custom steel sink in the rear part of the container, the guest house offers just enough space for someone visiting to feel comfortable. 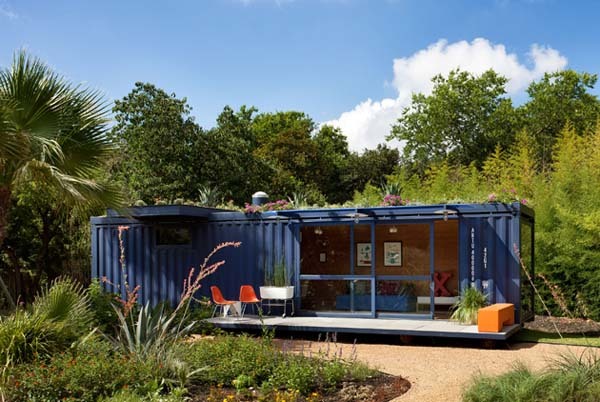 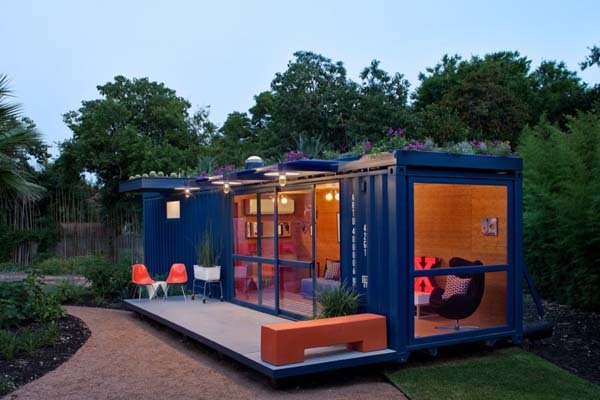 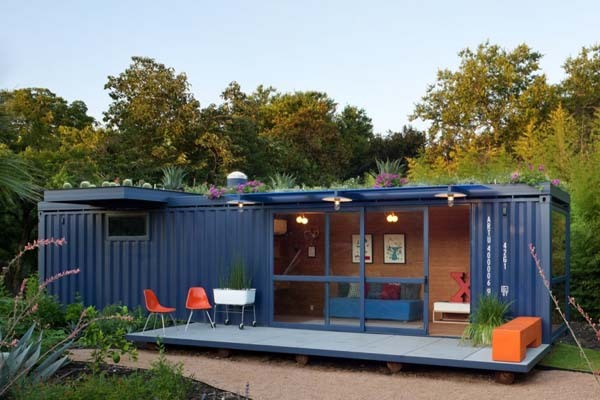 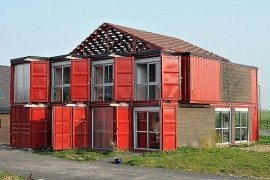 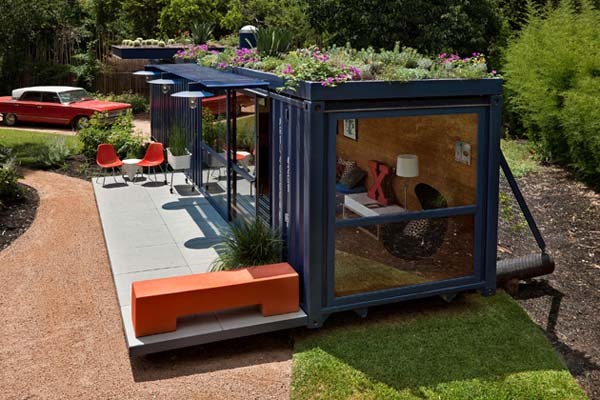 The remaining part of the container is used as a garden shed. 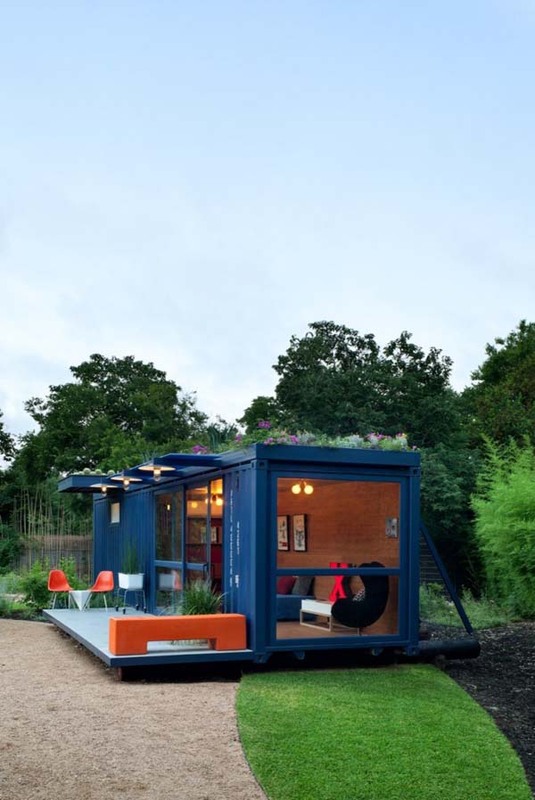 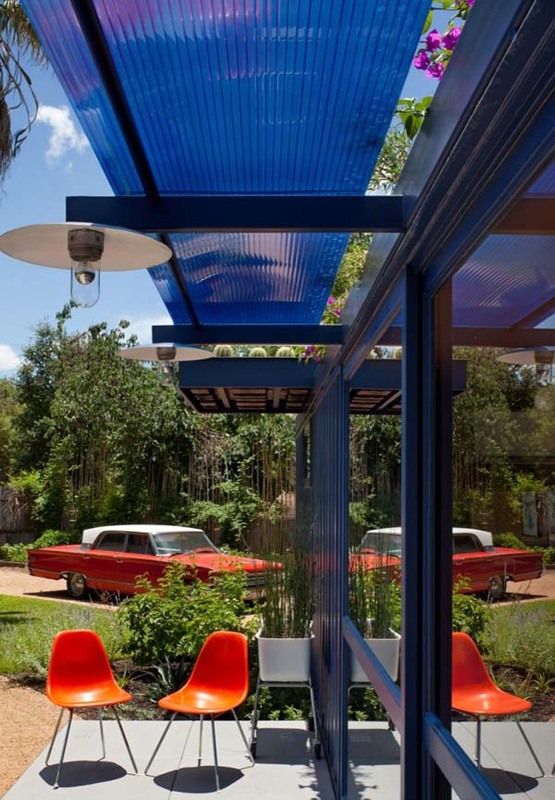 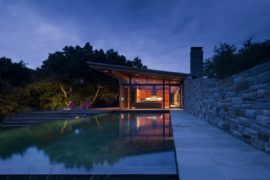 Located in San Antonio, Texas, the small guest house also features a green roof that protects it from heat.